For years, scientists have dreamed of being able to create made-to-order human organs in the laboratory, a feat that would help thousands of people around the world waiting for donor organs. Now scientists in Texas have moved that dream closer to reality with the first successful transplant of lab-grown lungs into pigs. These bioengineered lungs formed healthy blood vessels and continued to develop on their own, allowing the pigs to survive for up to two months. This technology offers hope of reducing the shortage of donor organs and lowering the risk of organ rejection — if it can reach the stage when it’s ready for humans. “It’s a very monumental step for lung transplantation and even any organ transplantation,” said Dr. Bryan Whitson, a heart and lung transplant surgeon at Ohio State University’s Wexner Medical Center. The study was published earlier this month in the journal Science Translational Medicine. In it, researchers from the University of Texas Medical Branch at Galveston first created scaffolds from dead pigs’ lungs. They stripped these lungs of blood and cells using a mixture of detergent and sugar. This left behind a lung-shaped structure made of proteins. Next, they grew blood vessels and lung tissue over the scaffold. This was done by placing each scaffold in a tank filled with liquid nutrients and cells taken from the future recipient animal. After 30 days in the bioreactor tank, the lab-grown lungs were ready for transplantation. Researchers replaced the left lung of four pigs with a lab-grown version. Researchers euthanized the pigs at different times between 10 hours and two months after transplantation to see how well the lungs were developing. The lungs had formed a strong network of blood vessels as early as two weeks and were colonized by bacteria that are normally found inside pig lungs. The pigs didn’t have any breathing problems. And there was no sign of rejection by the recipient’s immune system, even without the use of immunosuppressant drugs. These medications are routinely given to people after an organ transplant to keep their immune system from attacking donor organ cells as “foreign.” But they add to the complications of organ transplants. “A lot of the side effects that we see long term through the perioperative period is from immunosuppression,” Whitson told Healthline. This includes a higher risk of infection, weakened bones, high blood pressure, diabetes, and other health problems. “If you don’t need to do immunosuppression and expose the recipient to potential infectious complications, then that’s a plus,” Whitson said. Joan Nichols, PhD, a study author and professor of internal medicine, microbiology, and immunology, and associate director of the Galveston National Laboratory at UTMB, estimates that each lab-grown lung costs about $12,000. That compares to up to $90,000 for a human donor lung transplant (without patient care or hospital costs). However, this doesn’t take into account the lab staff’s time or the cost of producing certain materials. These costs are also likely to change by the time lab-grown lungs are ready for the clinic. Future research will need to be done to see whether lab-grown lungs function well in pigs for a year or longer. Another question that remains is whether lab-grown lungs will be able to transfer oxygen to the body. 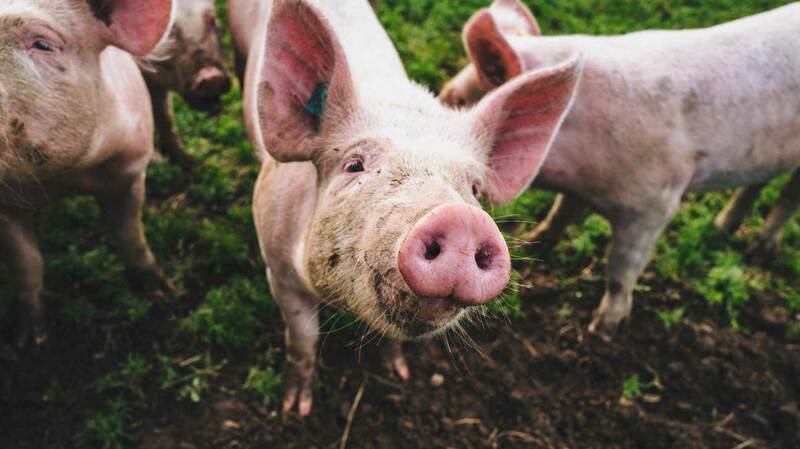 In this study, the lungs weren’t connected to the pigs’ pulmonary arteries, which bring oxygen-poor blood to the lungs. The researchers said in a press release that they expect lab-grown lungs could be ready to transplant into people within 5 to 10 years. About 1,500 Americans are currently on a waiting list for a lung transplant, according to the United Network for Organ Sharing. Given the shortage of human donor lungs, Whitson says the promise of a lab-grown lung is “pretty powerful” for people with end-stage organ disease. “Right now, you have to be very sick to be a transplant recipient or a candidate,” Whitson said. He thinks being able to grow lungs on-demand might eliminate the shortage of organs as well as turn lung transplantation into an elective daytime surgery. And it could open up transplants to people who are less healthy than current recipients. Nichols thinks making lungs the way they did in this study is only a “partial answer” to the problem of donor lung shortages. But she thinks the research will “pave the way for the real answer,” which is being able to 3-D print scaffolds and cells — either stem cells or adult cells — whenever someone needs a new lung or another organ. She says this approach would enable hospitals to create an organ that matches a recipient’s tissue type and is “tailor-made” to fit their body.